A British Airways ATR 72 heads down wind in the circuit at Hannover Airport. 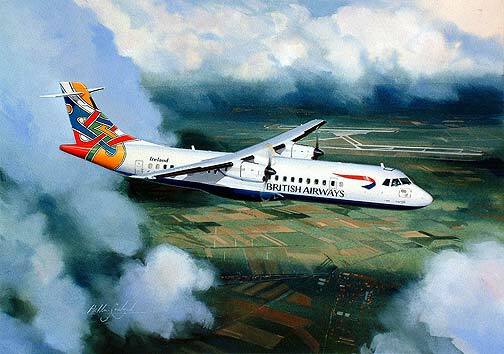 Retired from service in September 2003 this aircraft first came to the British Airways fleet through City Flyer. Released as a Limited edition of only 250 by the artist Anthony Cowland G.Av.A.